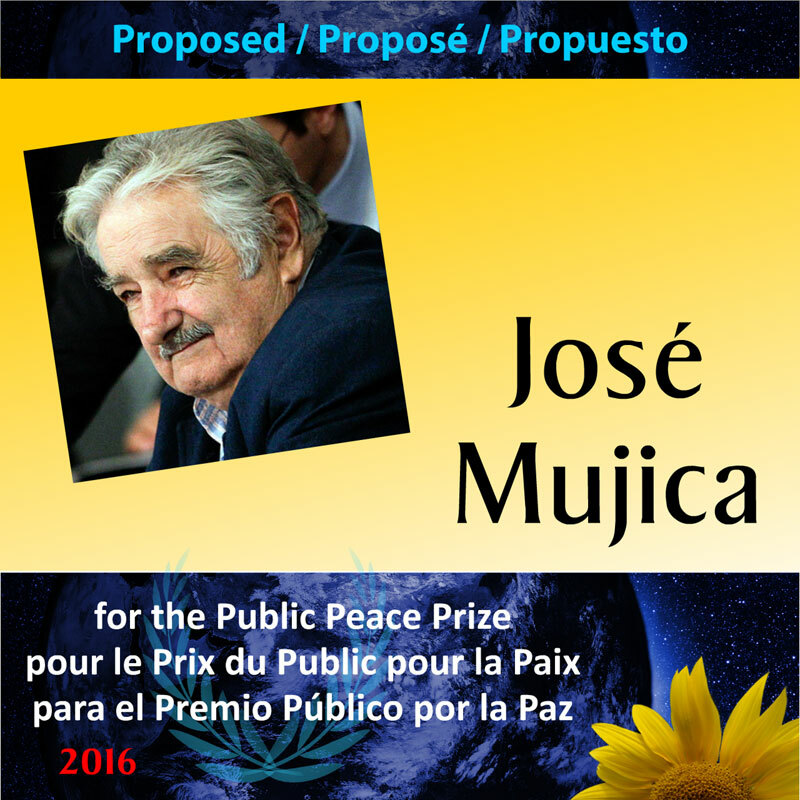 José Mujica, the former president of the Republic of Uruguay from March 1, 2010 to March 1, 2015, is proposed as a candidate for the Public Peace Prize. During his term, he donated 90% of his salary to charities. SUPPORT THEIR CANDIDATURE BY SHARING YOUR STORIES ABOUT WHY THEY DESERVE TO WIN. ONCE WE HAVE RECEIVED TEN SUPPORTING COMMENTS, THIS PERSON WILL BE OFFICIALLY NOMINATED FOR THE PUBLIC PEACE PRIZE. José Mujica deserves all my respect. During his entire term in office, he did not alter any aspect of his life and remained faithful to his beliefs.